The Girl Scouts of America were founded over a 100 years ago in 1912 by Juliette Gordon Low. This was during a time in which women were discriminated against, including not being able to vote and other discriminatory measures. Partially due to a desire to be empowered, and in response to discriminatory laws, the Girl Scouts were launched. It goes without saying that the 1910 launch of the Boy Scouts is also a big part of why the Girl Scouts started around that time. The Girl Scouts movement expanded throughout the United States pretty rapidly over the next 10 years, and even spread to the Native Americans (in New York in 1921), as well as a Mexican American branch in Houston in 1922. There were many events in the ensuing decades which showed the impressive patriotism of the Girl Scouts of America. The 1930’s is when the Girl Scouts were really able to show their potential, as America was taken over by the Great Depression, the Girl Scouts got to work: they joined many relief efforts, and were instrumental in terms of collecting clothes and rations for those who didn’t have. In World War II, Girl Scouts joined the effort by running bicycle messenger services, assisting with farm aid programs, helped grow and cultivate Victory Gardens, and much more. And when the Korean War rolled around, Girl Scouts put together “Kits for Korea”, which contained items that were in dire need by Korean citizens. In later years, the Girl Scouts elected the first African Americans to their board, assisted on many environmental programs, and helped Vietnamese immigrants adapt to American culture. As a daisy, you get to earn petals which are the special equivalent of badges, and you also get to embrace the girl scouts law and promise. Selling cookies, planting gardens, and exploring the outdoors and nature is just part of the journey. Girl scout brownies are always ready to face the world and girl scouts help them do exactly that. In this level, they are always learning something new and very much eager to show it off to the rest of the world. They get to make new friends in their troops and get to meet new people. Brownies are basically young explorers, and will get to go on her very first hike outdoors, band together to peddle chocolate-jammed cookies and visit a museum. Much of the proceeds from their pursuits will go to charity as well. Juniors are known for being real-life heroes with the variety of different roles they play on a daily basis. She’ll get to go out for her first camping trip and strategize on how to sell many cookies. They will branch out into science, writing, design, and much more! They learn to become future leaders, critical thinkers and love big ideas. Storytelling, selling cookies, and changing the world is part of a Juniors’ daily activities. Juniors also gets a chance to earn one of the highest girl scout awards—the Bronze Award. Juniors go on to become Cadettes, which is where they say that life-long friendships are made. Cadettes take on important roles, and begin to learn to stand up for what they believe in and battle stereotyping. Ultimately, they use their newfound responsibility and knowledge for good in order to make the world a better place. 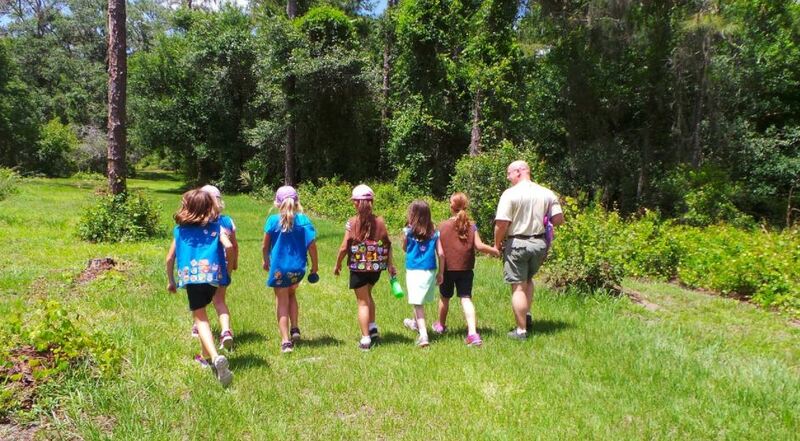 Girl Scout Cadettes begin to really explore the outdoors and experience the wilderness, are more confident of themselves, and take on new life skills, such as gourmet cooking, creative projects such as movies, and other leadership activities. Here she’ll get to earn a Silver Award, and begin to mentor younger Girl Scouts. Once she gets to become a senior, she can now take on the world—and being a girl scout, there are plenty of ways to do so. Senior Girl Scouts, now older and more mature, get to go on amazing new adventures all over the world and experience different cultures from Costa Rica, to Japan, and India. The overall focus of Seniors is a cultural one, as these Girl Scouts both begin to understand cultural issues but also begin to solve them as well. Seniors can earn Gold Awards, and scholarships as well. Additionally, Girl Scout Seniors begin to mentor Junior Girl Scouts. As a girl scout ambassador, members will get to make a difference in the world and improve themselves. Ambassadors are also eligible for numerous girl scout opportunities to become leaders. Here they’ll get to decide on a take action leadership project, implement and see it through and get the opportunity to win a college scholarship. Girl Scout meet-ups in the UK, Switzerland, Africa, and many more countries is part of the membership. The girl scout uniform is a symbol of the ideals the organization is built on and represents how girl scouts would want to feel and look. Their new look still retains some classical features but with modern twists. Daises get to choose between a tunic and vest. Brownies and higher get to choose between either a sash or vest. Each grade and level has a characteristic badge for each level—Brownies are triangles, Juniors are circles and Cadettes are diamonds. There are five steps to getting a badge with each step having three options to choose from. Moreover, as a girl scout, you can choose to create your custom badge. But this is only possible if you’re at the Brownie level or above, and is only allowed once a year along with additional guidelines. Girl Scouts have a rich and long history and with it plenty of traditions that inspire and motivate them in their journey to change the world. Girl Scouts have a huge alumni network of former girl scouts which helps remind girls that they belong to a huge family, and of course helps them professionally in terms of networking. Badges form the cornerstone of the Girl Scouts and have been around for over a century. Each of the seven badges is available for each level and symbolizes an achievement. There are many ceremonies that girl scouts celebrate including Juliette Gordon’s birthday, where they celebrate her ideals and the incredible founding role she played. Another common tradition is the friendship circle, which symbolizes the unbreakable chain of friendships among girl scouts both in America and globally. Additionally, girl scouts also swap gifts and small friendship tokens with other girl scouts they encounter in their adventures. The Girl Scout Leader’s Day, celebrated April 22nd every year, symbolizes the appreciation of girl scouts for all volunteers who mentor and partner with them. And perhaps most important is National Girl Scout Day, celebrated every March 12th, to commemorate the day that girl scouts were officially recognized and registered. “Do a Good Turn Daily” is a common slogan used for as long as girl scouts have existed and is meaningful on this day.